Recommended For: Fans of dark fantasies and mythologies of all kinds. I always have a hard time reviewing a book that I love, I think it is because I have become so immersed in the world and have a hard time coming out of it and looking at it with a critical eye. Perhaps, or perhaps I just want to keep it all for me, in a secret chamber in my soul. Whatever the reason, I will do my best to put my feelings into words and I will try not to be too biased as everyone knows I think Neil Gaiman is the best writer alive. It is also no mystery that I love his narration, so when I was able to meet him earlier last year and have him sign my copy of Ocean at the End of the Lane, I also bought the audio to enjoy! The Ocean at the End of the Lane leaves the reader reminiscing about their childhood, trying to bring up memories long forgotten. It is a book that makes you think back at the way you looked at the world before it became so ugly, when your parents were your superheroes and everything was safe within your own little world. It is hard to look back on those times, to see how vastly different your life is and realize that things are never what they seem. It is almost frightening to realize that your perception on the world at that young an age puts you at a high risk for many things, from disappointment to real harm. The novel is narrated by a seven year old, and it is haunting to see the story progress through his eyes as he is so innocent and naïve but made stronger and older by the happenings around him. The fact that it can be considered slightly autobiographical (as some of the events that happen at the beginning of the book do in fact happen to Gaiman’s family) makes it even more real and emotional. The Hempstock women are strong, witty and all together marvelous; I love their relationship with one another and their relationship with our unnamed protagonist. Ursula Munkton (I love her name – and the way in which Neil Gaiman says it) was really quite terrifying. 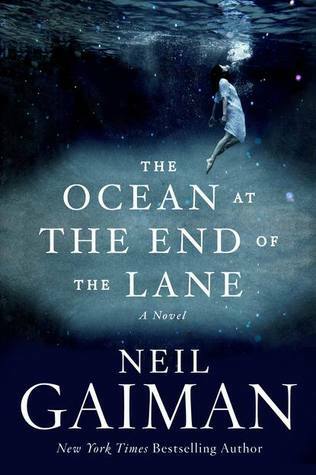 This novel is not like other novels by Neil Gaiman, instead of coming on bold and strong as most of his novels, it creeps up on your and you are made raw by the different emotions playing through your mind as you read (or listen) to Gaiman’s words. The Ocean at the End of the Lane is like nothing I have ever read before. It spreads over many genres and bridges the gaps between ages. It is a story of friendship, coming of age, and battling monsters both real and imaginary. It is horrific, and lighthearted, ugly and so beautiful. In short, it is a glorious blend of all things. 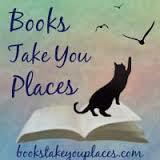 This entry was posted in Reviews and tagged adult, dark fantasy, fantasy, horror, magic, neil gaiman, witches. Bookmark the permalink. I recently became a Gaiman fan after I read “American Gods” and have had this book on my list since its release. Being that I’m also an audiobook lover, which would you recommend my reading first — the actual book or the audio version? Last year was my first foray into Gaiman’s works and now he is my favorite author. I think he is just brilliant. I would recommend the audiobook, if he is narrating I always go with the audio first because I love his voice and I think it adds more to the story but I also read this in print and it was just as wonderful! I tend to prefer audio if it’s got a great narrator, so audiobook it is! Thanks for the rec! Your review makes this book sounds haunting and beautiful, and like it leaves a lingering impression on the reader. I originally wasn’t considering reading this one, but I’m starting to consider it again, thanks to your lovely words. This was one of my favorite books of 2013. I loved the way that Gaiman called to mind the feeling and perspective of childhood while still giving us a grown-up view of some of the things going on in his family.